I love the fall ritual of putting away all those lingering summery (or unnecessary) accessories and bringing out special favorites for this season. 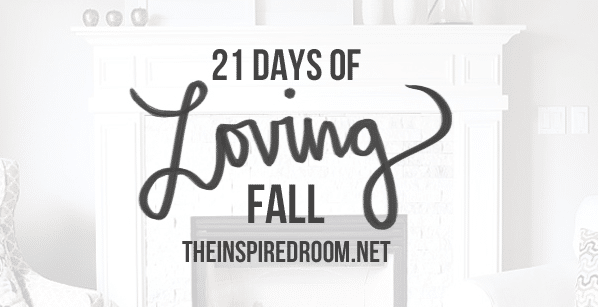 I’ve been doing a lot of fall nesting around my house this weekend, and I can’t wait to show you some new updates! Little by little, my home continues to evolve towards a cozier fall and winter feel. And if I dare I say it, I’ve even started preparing for Christmas. I know, it might seem early. But, I’m loving it! Tip: As you are nesting, find a few new creative ways to display and group together some of your more fall-ish /wintery or holiday favorites. These jars from Miss Mustard Seed (above) are so cute (they remind me of my glass lamps so I’m totally going to try this idea!). They really help the accessories tell a wonderful and intriguing story, my FAVORITE kind of decorating! This idea is perfect for people like me who might have a little phobia about too many little cluttery things sitting around and covering every surface. I love ideas for how to corral, contain and show things off in a creative way. Putting anything under glass certainly elevates it to a whole new level. I just put a little turkey, some sugared fruit and a few acorns under glass…voila…a tiny tableau. 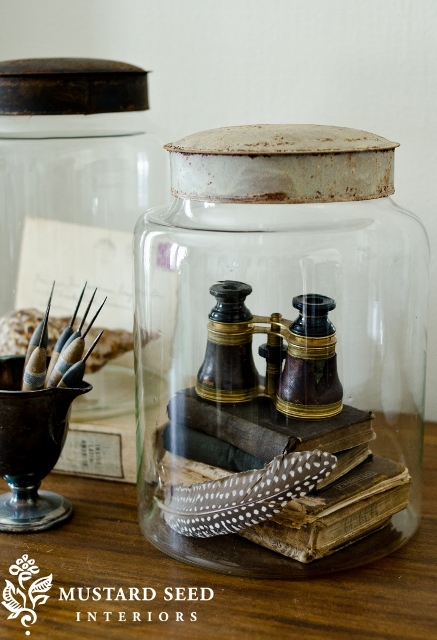 I am always on the hunt for glass cloches and domes, but they aren’t so easy to find. LOVE this idea! I have a “thing” for small things, so this is just the thing! Thank you! Love this idea! We have four huge window “shelves” where we display all kinds of things (we have an entire “natural history” section) and instead use bottles and jars as ornaments themselves..! We also have an old tin milk jug, which I planted a baby aloe vera plant in – it looks wonderful.